Massachusetts invented the municipal conservation commission. By the 1950s, the need for protection of natural resources at the local government level was well known. This need led to the formation of town forest committees, park commissions, playground commissions, and recreation commissions. Sportsmen's clubs, garden clubs, nature associations, and charitable foundations had done much to conserve our vanishing natural resources. But a specific municipal conservation agency and authorization of conservation as a valid municipal purpose were needed before communities could acquire lands for passive use, rather than active recreational development. In 1957, Representative John Dolan of Ipswich filed a bill in the Legislature which became the Conservation Commission Act (G. L. Chapter 40 §8C). The new law enabled municipalities to establish conservation commissions through a vote of the local legislative body (town meeting or city council). During 1958, 12 towns formed conservation commissions. By the mid-1980s, every city and town in the Commonwealth had established a conservation commission. The duties and responsibilities of a conservation commission are set forth in the Conservation Commission Act. The conservation commission is the official agency specifically charged with the protection of a community's natural resources. The commission also advises other municipal officials and boards on conservation issues that relate to their areas of responsibility. In Massachusetts, conservation commissions' authority comes from several sources: the Conservation Commission Act (MGL Chapter 40 section 8C) for open space protection; the Wetlands Protection Act (MGL Chapter 131 section 40) for protecting wetlands and waterways (commissions have real power - they issue the permits); and the home rule provisions of the state constitution for non-zoning wetlands bylaws. Conservation commissions are the municipal environmental agencies in Massachusetts. They are responsible for protecting the land, water, and biological resources of their communities. Conservation commissions are volunteers who work long hours to achieve community conservation goals. Commissioners are appointed by their select boards, town administrators, or mayors. Through a special act of the Legislature one community has an elected conservation commission. Many conservation commissions play a supporting role in the choice of candidates to join the commission. Conservation commissions have between three and seven members. Town meeting or city council sets the number. Terms are three years in length. State law sets no age, citizenship, residency, knowledge, or experience requirements for conservation commission members, although there may be local requirements. The tasks of a commission require a great deal of study, learning, and thought by its members, who become expert by patience and work. Appointments to a conservation commission should not be made or taken lightly. The overriding factors governing appointments should be a candidate's interest in doing the conservation job needed by the town: open space and wetlands protection. Since this goal requires a continual, firm commitment to conservation, persons who have no conflict of interest and who relate well to others should be selected. The commission should represent a variety of interests, skills, and backgrounds. An engineer, a biologist, a naturalist and a lawyer may prove especially helpful. Knowledge of soils is useful. For purposes of coordination of efforts, well-qualified individuals who are members of other boards may be appointed to serve a term. More than 100 conservation commissions have permanent full-time employees, many of whom are conservation professionals providing invaluable support to volunteer Commissioners. More than half of the commissions have some level of staffing. In addition to voting members, many Commissions also have associate members and committees on which interested persons serve. If you have an interest in serving on your local conservation commission, talk to the commissioners and staff, attend meetings and hearings, and get a sense of what the job is all about. Volunteer to help. Let the commission and the appointing authority know of your interest. The first powers given to conservation commissions in the Conservation Commission Act focused on "promotion and development of natural resources...and protection of watershed resources." Under these powers commissions undertake planning, acquiring, and managing open space, and encouraging and monitoring conservation and agricultural preservation restrictions. A commission may accept gifts of money or land with the approval of the city council or selectboard, thus avoiding the delays associated with obtaining town meeting approval. The Conservation Commission Act authorizes conservation commissions to inventory the municipality's natural resources and to prepare relevant maps and plans. Open Space and Recreation Plans are therefore coordinated by Commissions. These important documents are a prerequisite for securing Self-Help moneys for open space acquisition. Conservation commissions also have the authority to adopt rules and regulations for the use of conservation land. These regulations have the full force of law; they are not merely "guidelines." Today many conservation commissions devote much of their time reviewing wetlands permit applications (Notices of Intent) and issuing wetlands permits (Orders of Condition). While this responsibility is vital, it often leaves inadequate time for open space protection and other matters. To compensate, many commissions have created open space, land management, and other committees involving those members (and associate members) most interested in the commission's original mandate. 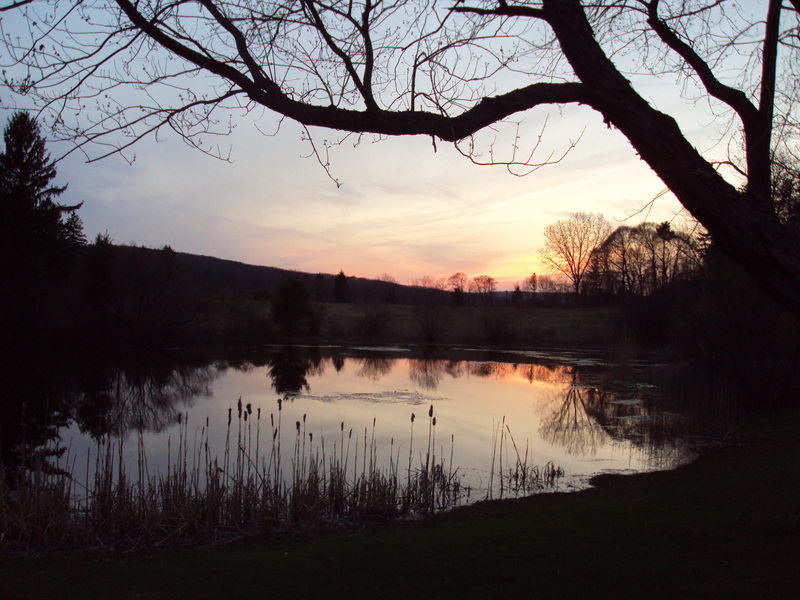 In 1972, conservation commissions were given responsibility to administer the Wetlands Protection Act (G.L. Ch. 131 §40) in their community. Thus the commission serves the community in a regulatory capacity (to protect wetlands) and in a conservation capacity (for open space). Under the Massachusetts Wetlands Protection Act, conservation commissions process over ten thousand applications every year for permits to do work in and near wetlands, flood plains, banks, riverfront areas, beaches, and surface waters. The requirements of the Wetlands Protection Act are set forth in regulations promulgated by the state Department of Environmental Protection. 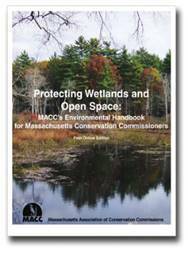 How to administer the Wetlands Protection Act is described in detail in Protecting Wetlands and Open Space: MACC's Environmental Handbook for Massachusetts Conservation Commissioners. More than 190 Massachusetts municipalities have adopted non-zoning wetlands bylaws or ordinances that provide extra protections to wetlands resources within their borders. The state's highest court has approved the use of such municipal laws. Those local laws are administered by the local conservation commission. If the bylaw/ordinance gives it the power, the commission may adopt regulations to implement the bylaw/ordinance.